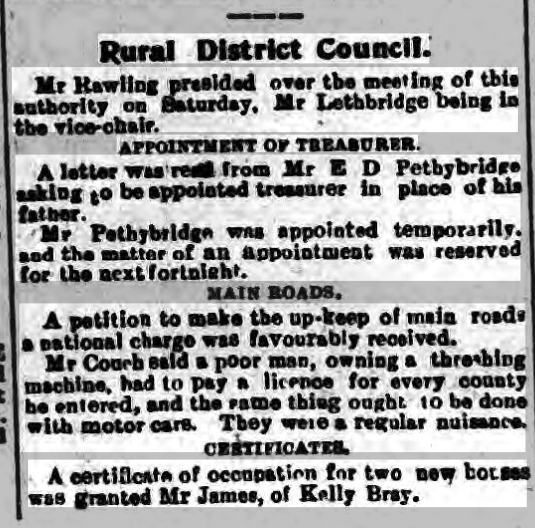 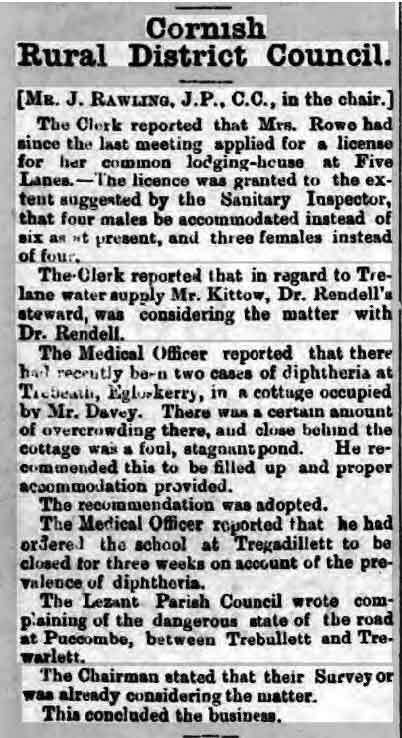 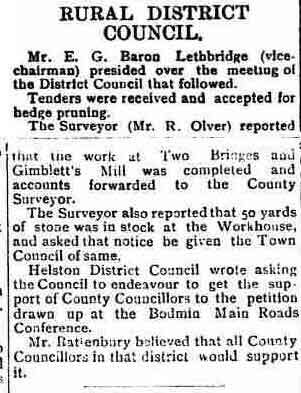 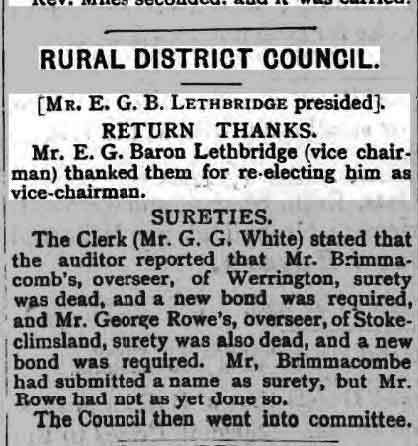 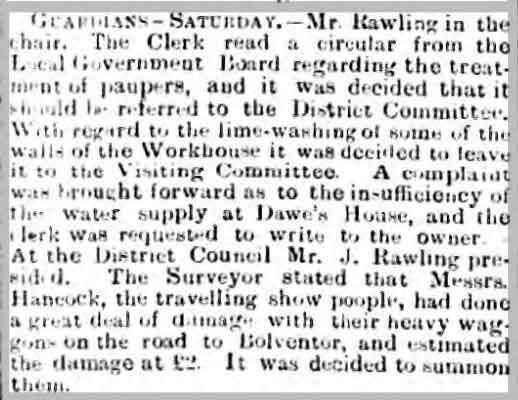 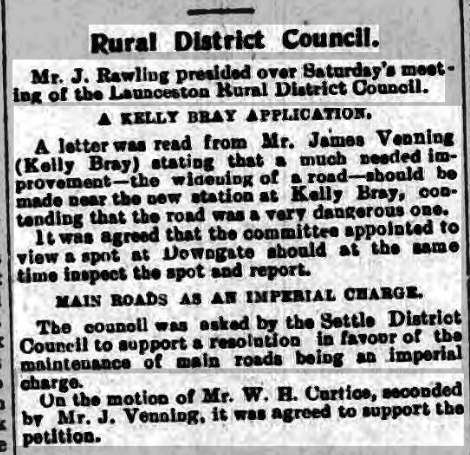 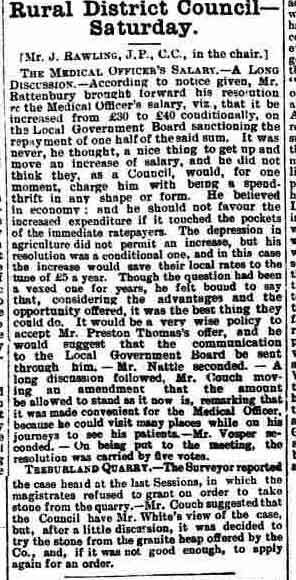 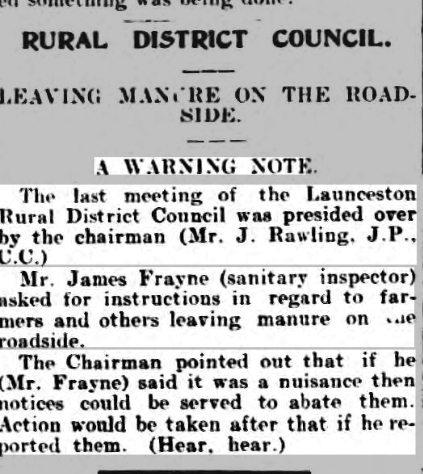 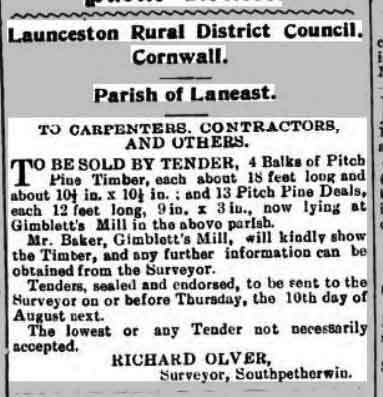 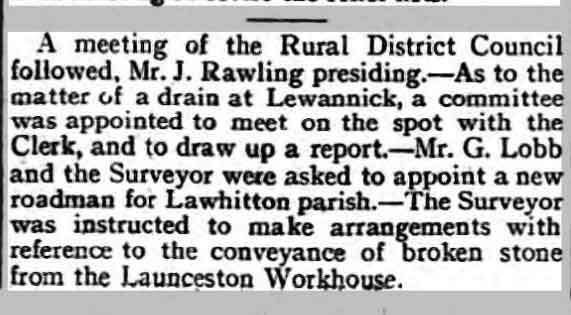 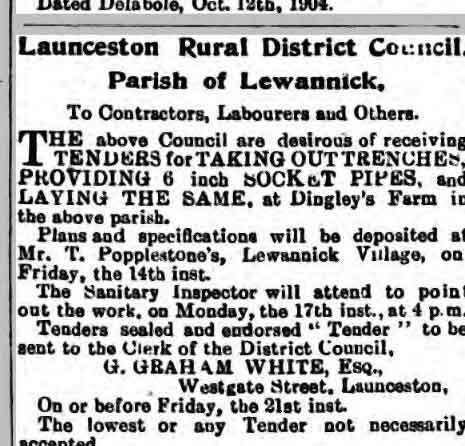 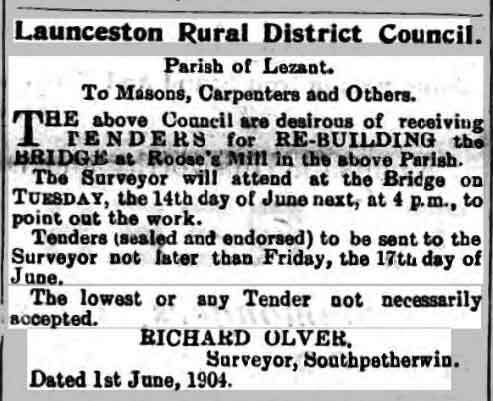 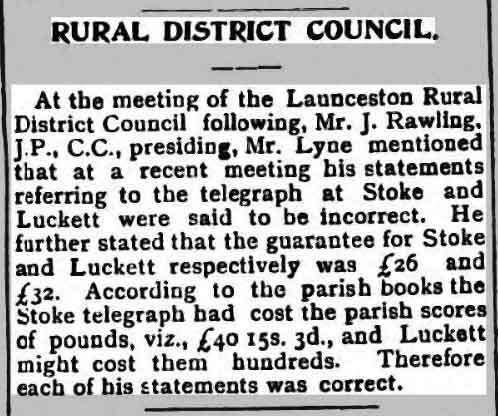 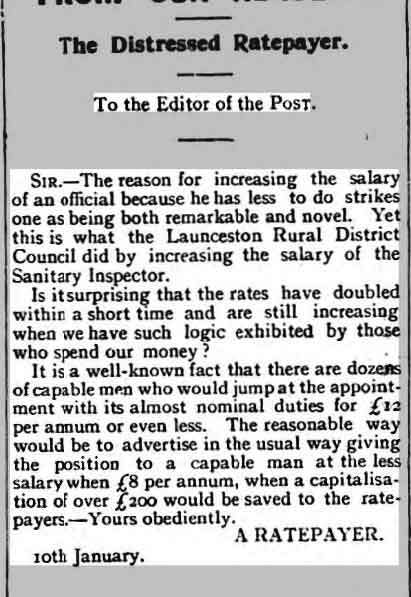 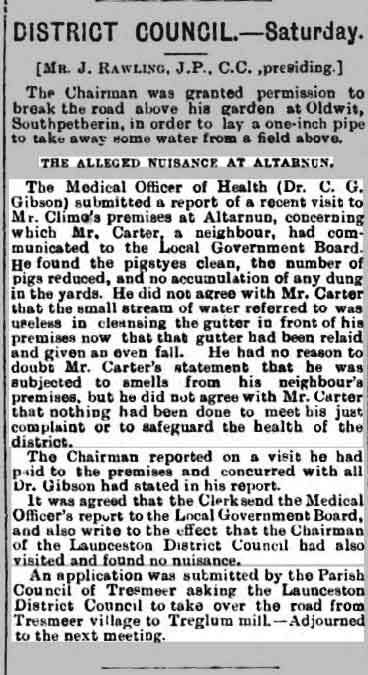 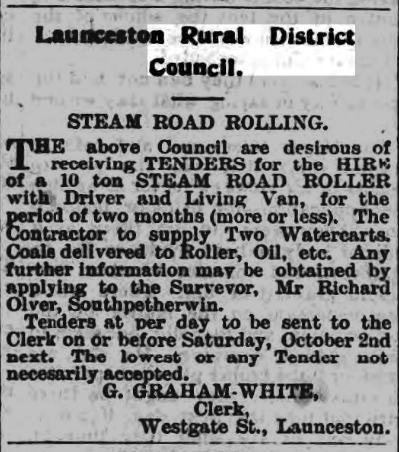 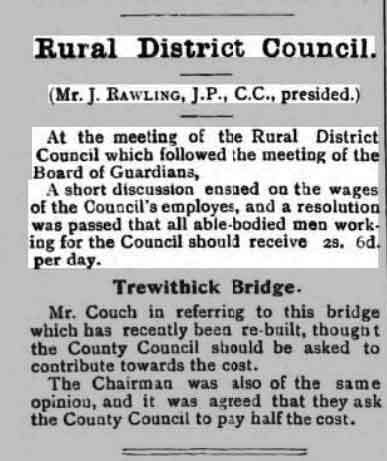 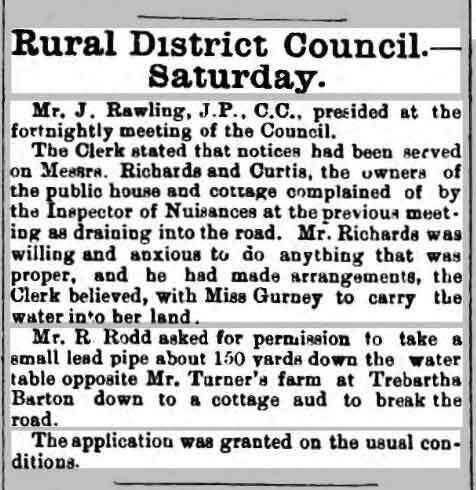 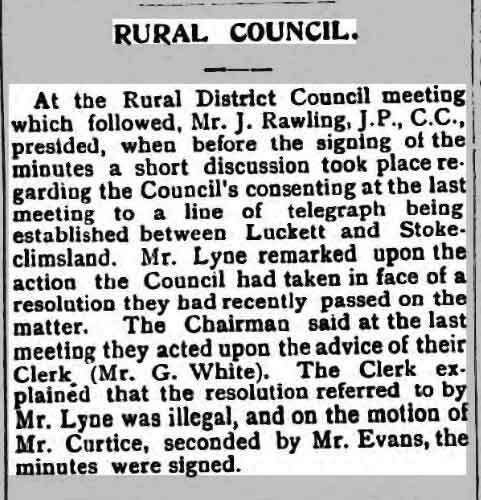 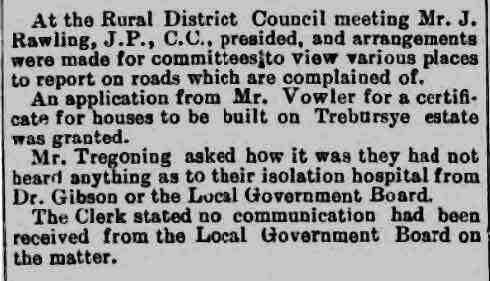 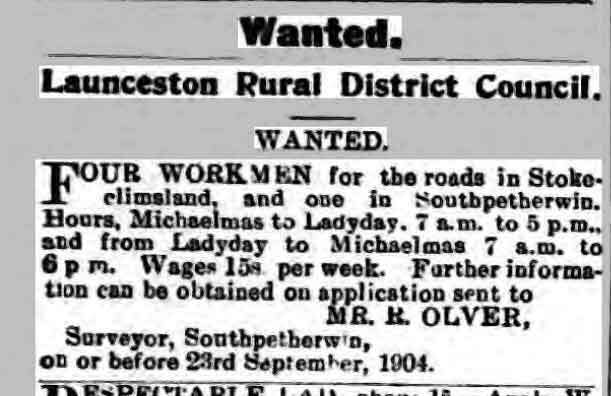 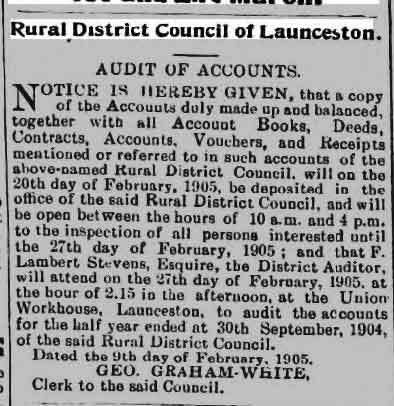 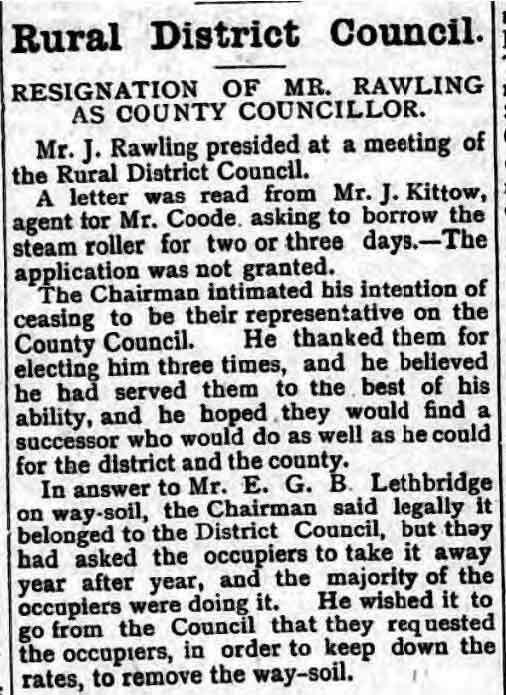 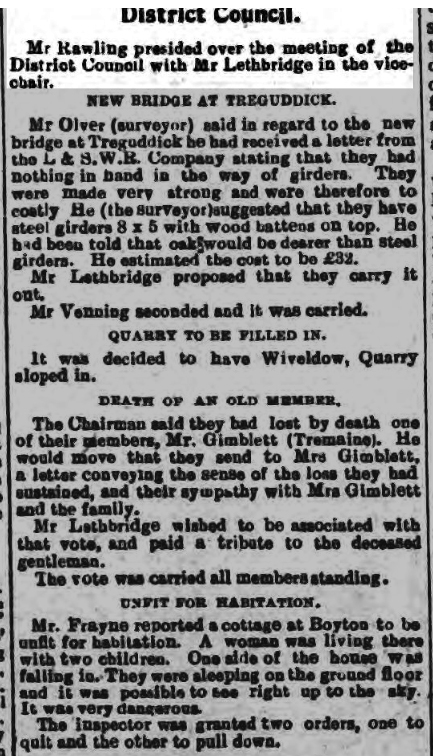 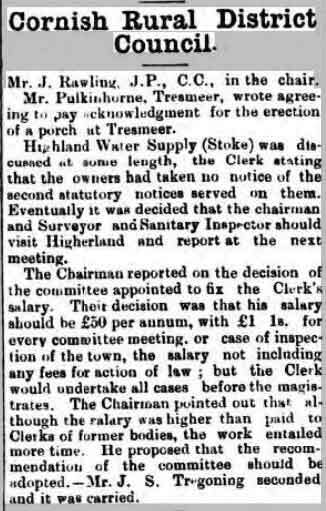 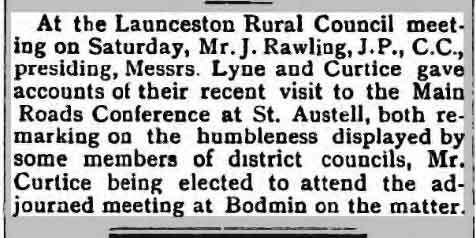 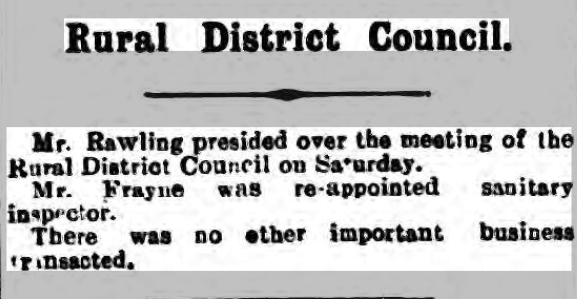 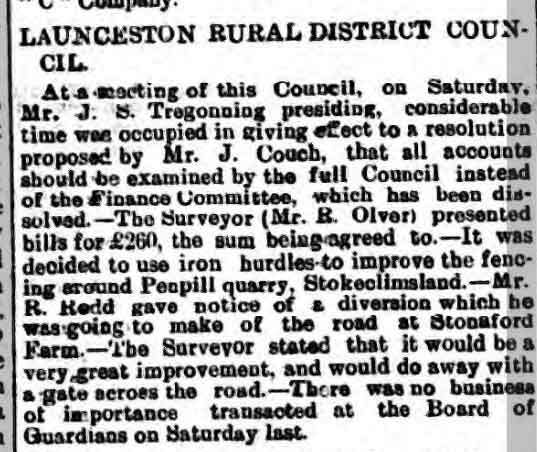 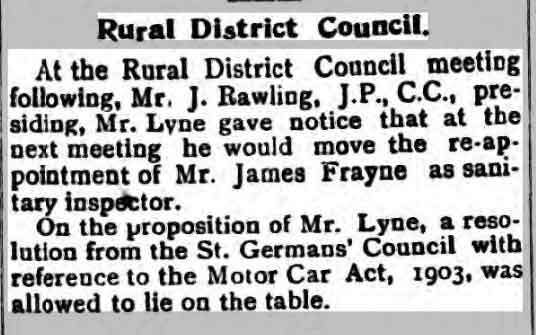 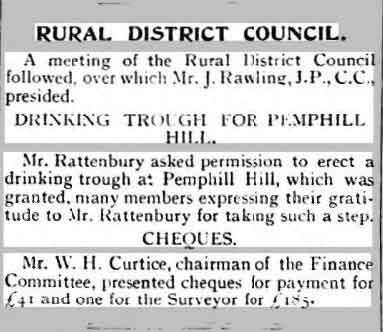 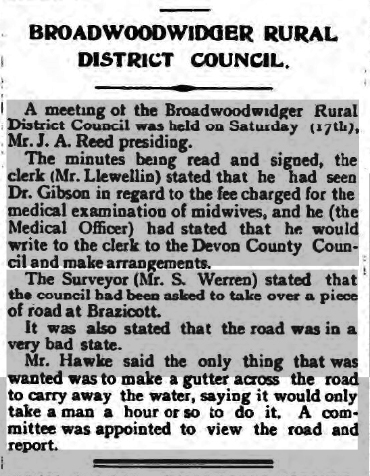 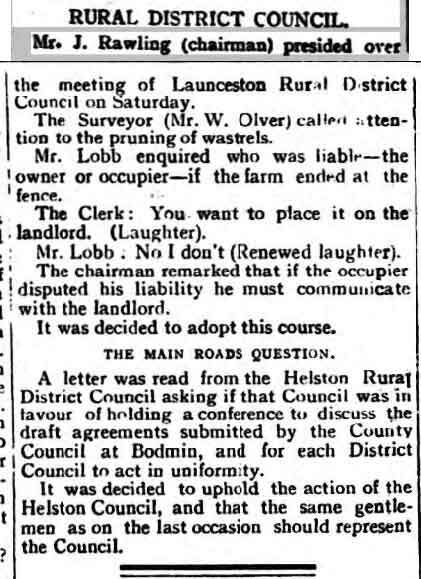 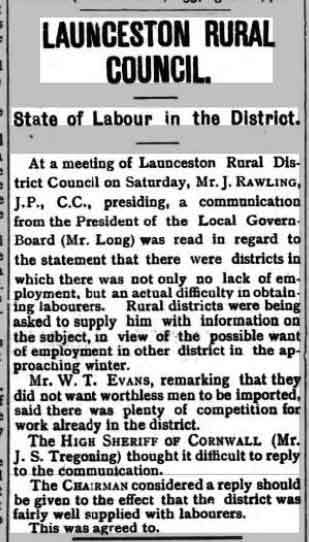 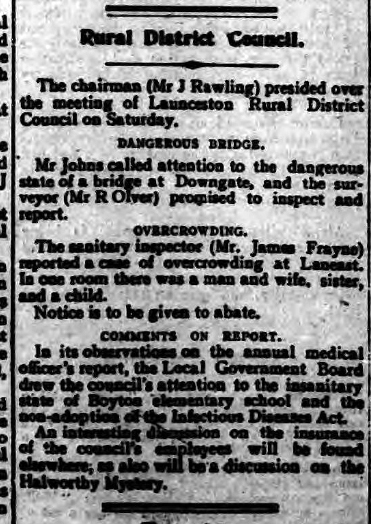 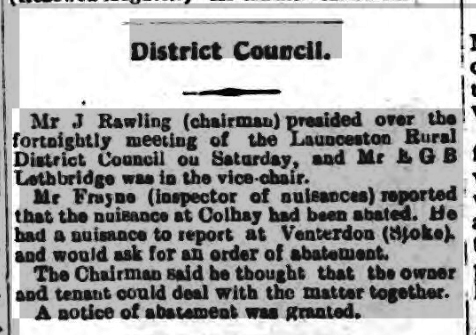 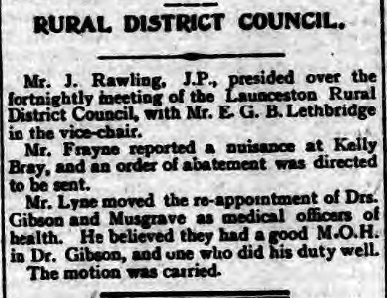 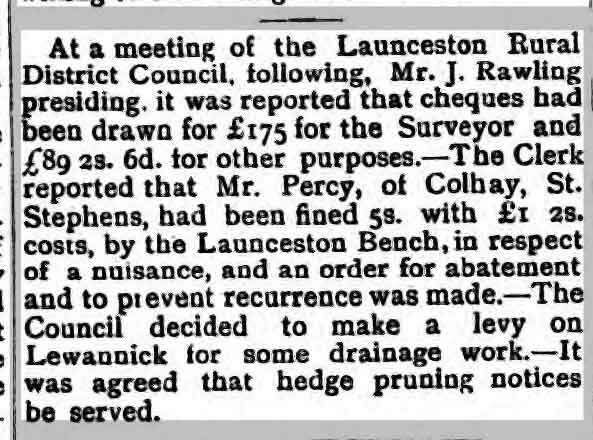 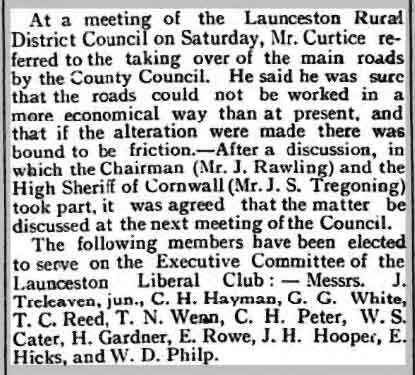 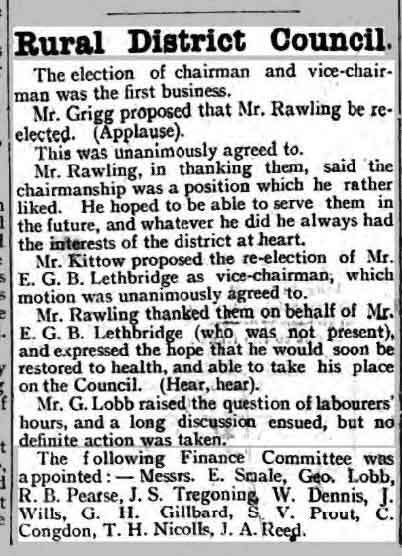 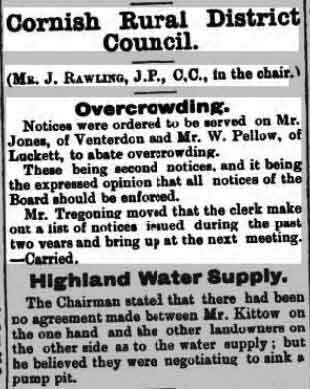 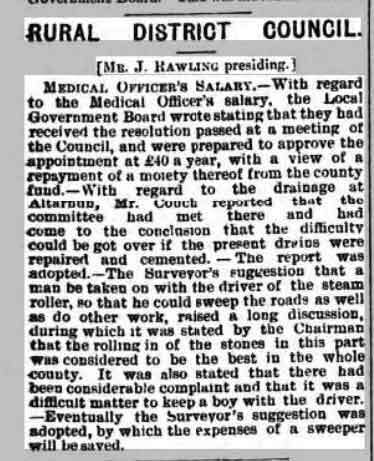 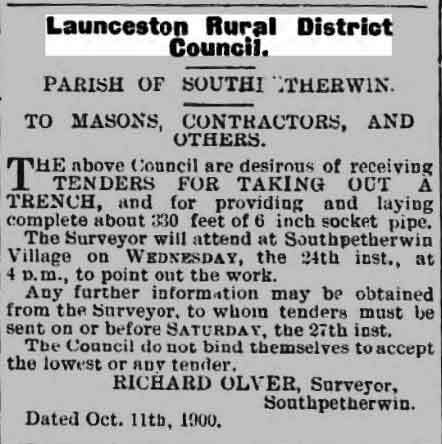 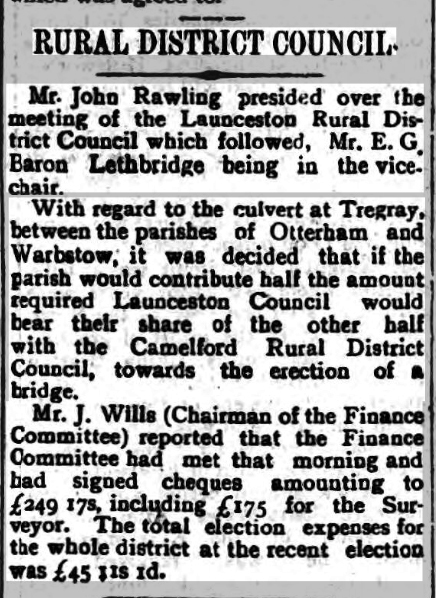 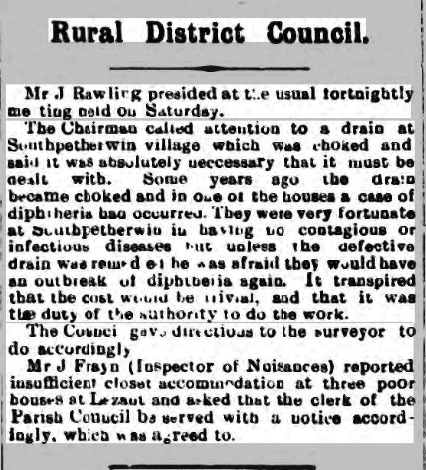 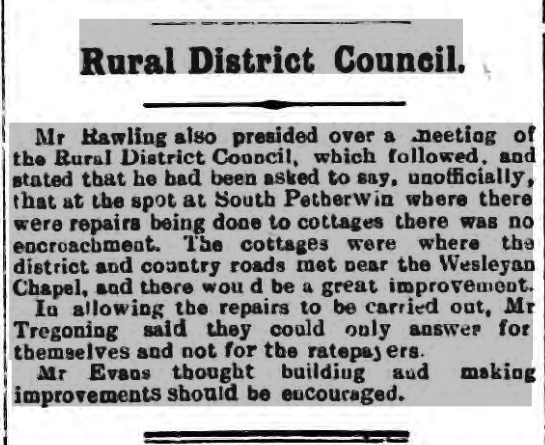 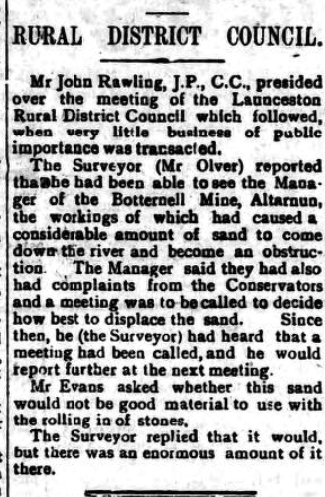 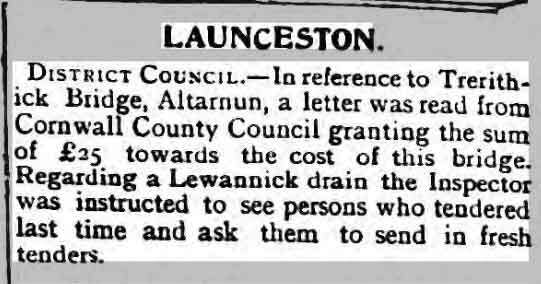 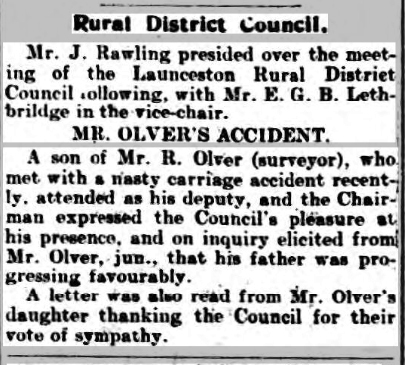 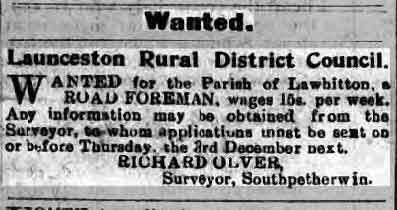 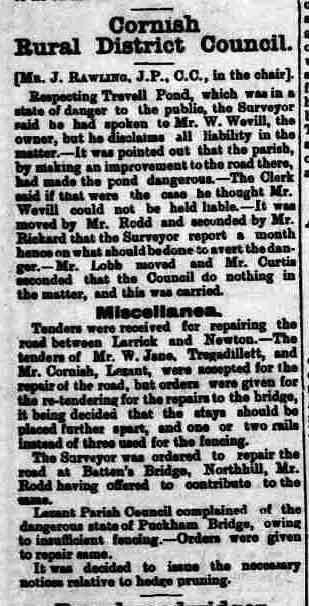 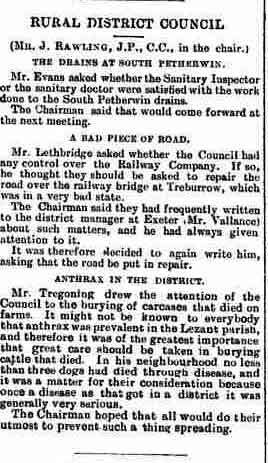 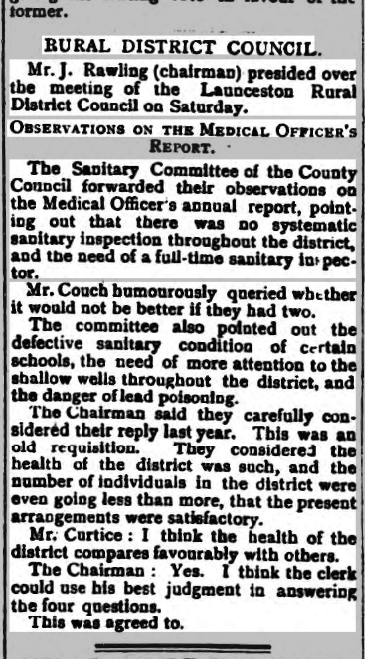 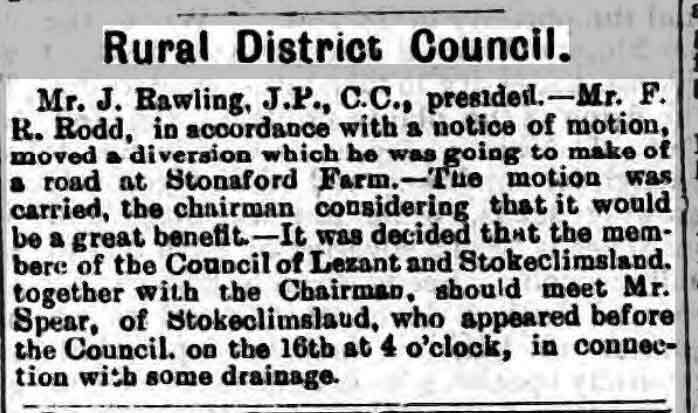 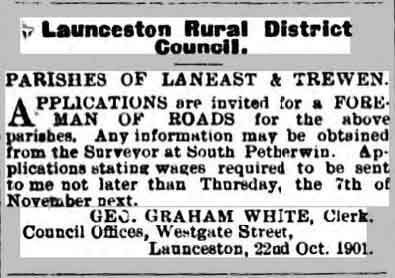 Rural District Council Meetings | Launceston Then! 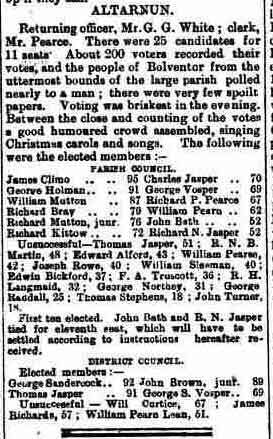 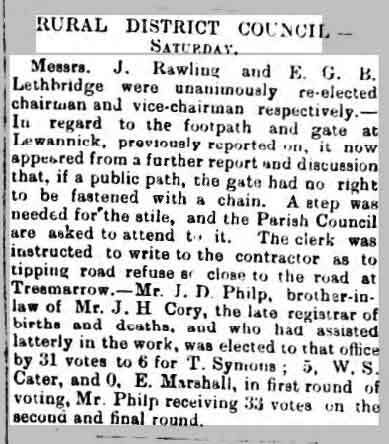 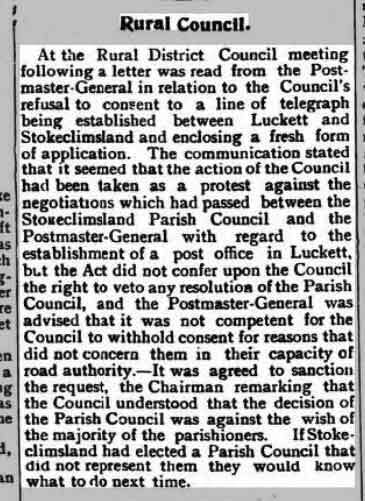 The act also reorganised civil parishes, so that none of them lay in more than one district and hence didn’t cross administrative boundaries. 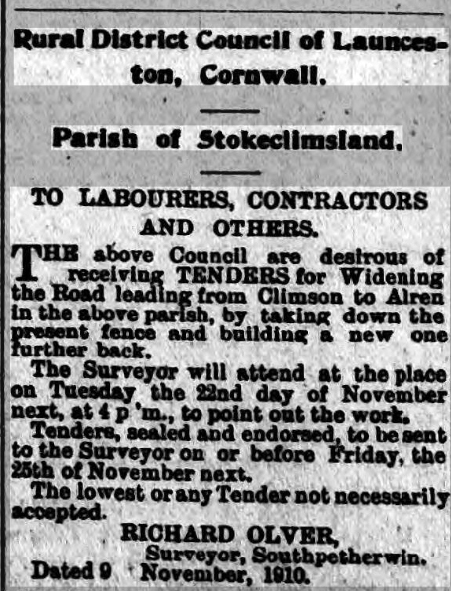 For the next three years there are no copies of the Cornish and Devon Post so there are no reports on the council’s meetings. 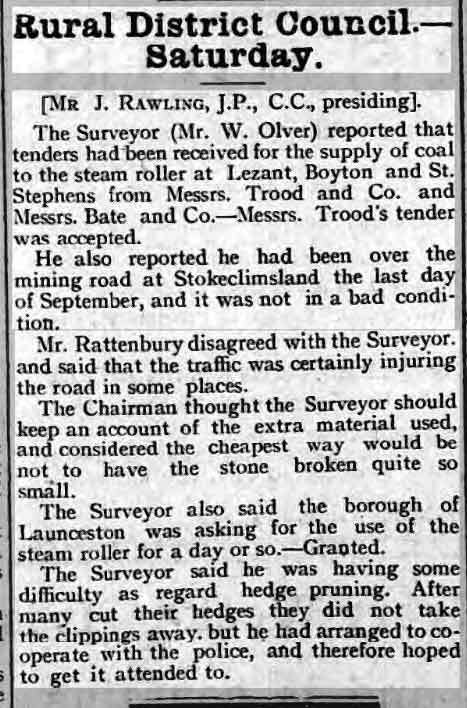 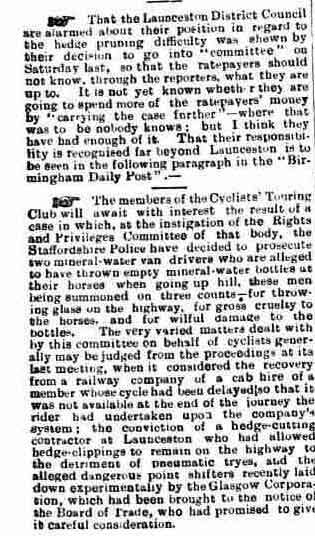 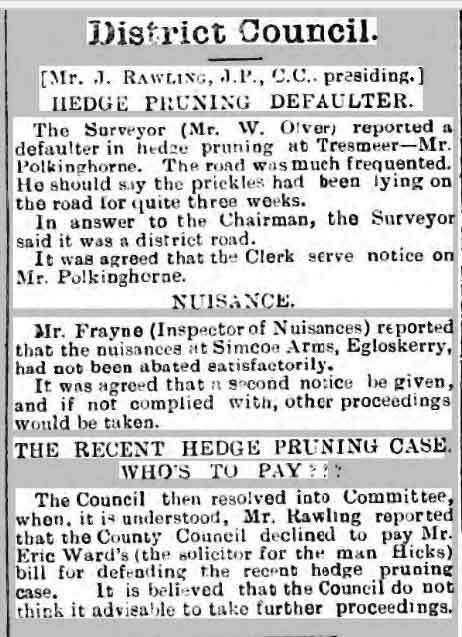 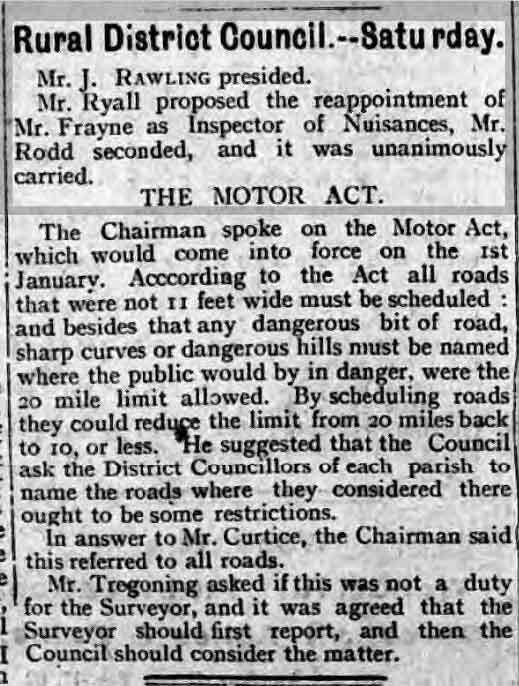 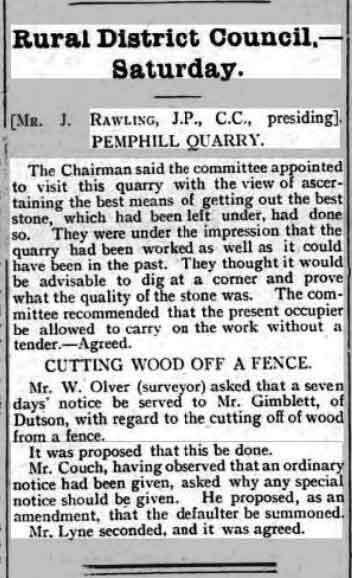 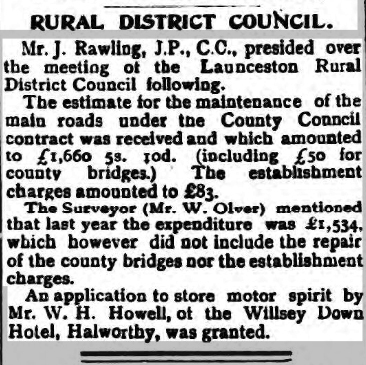 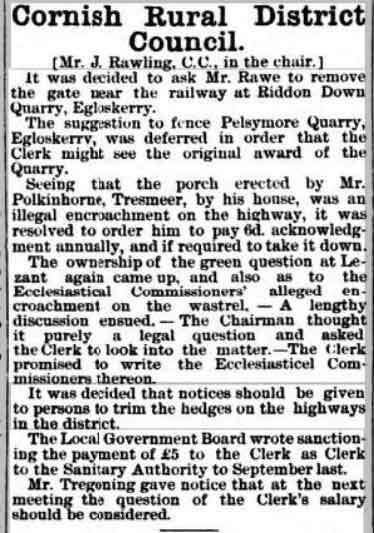 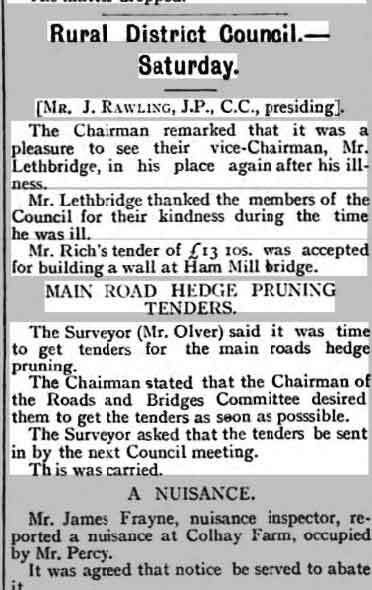 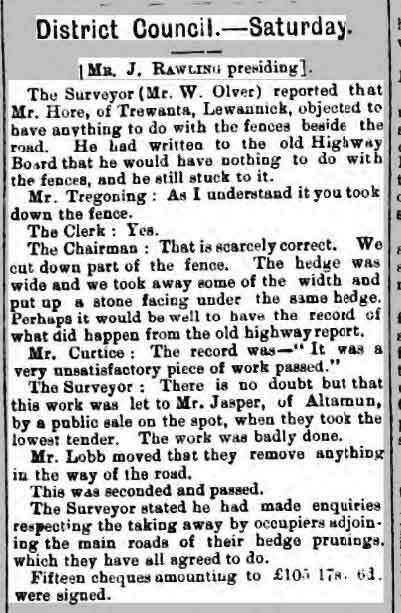 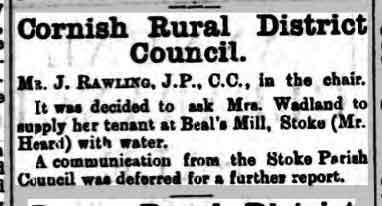 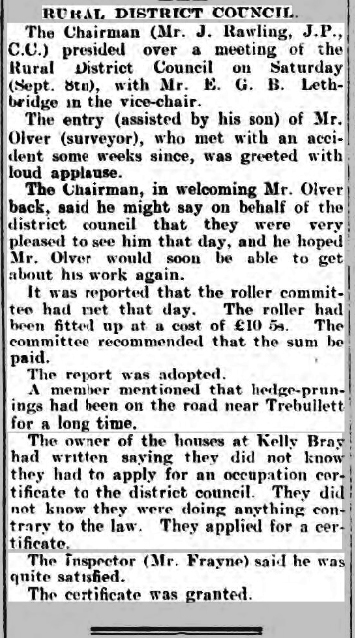 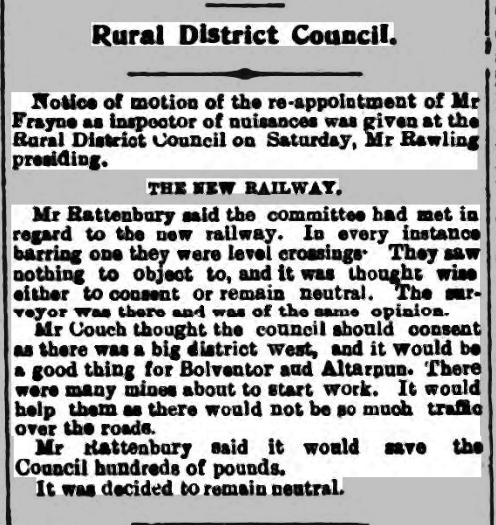 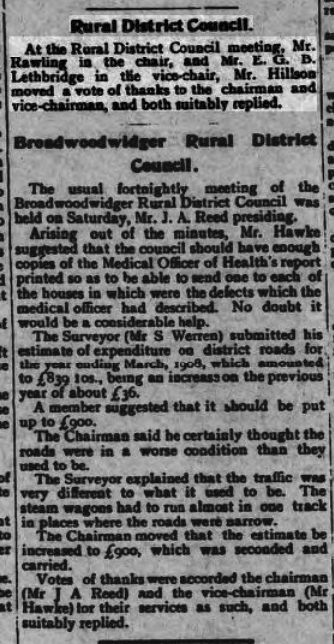 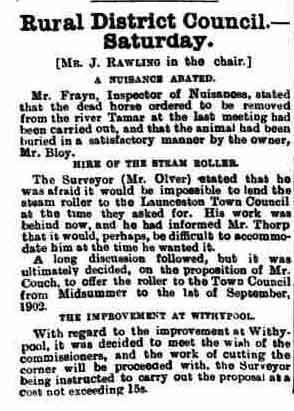 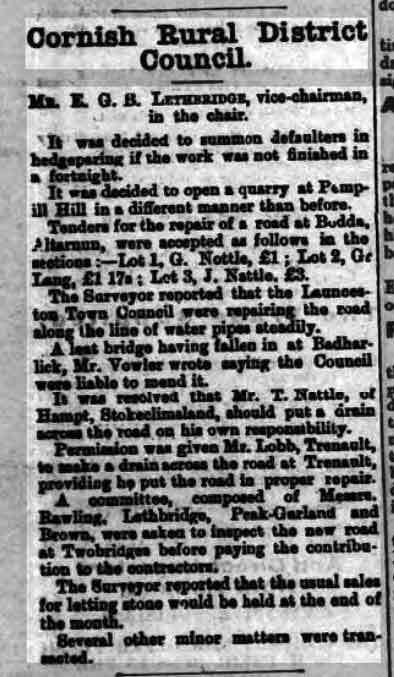 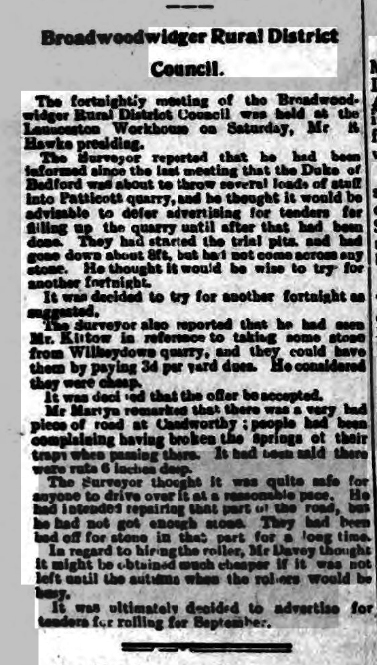 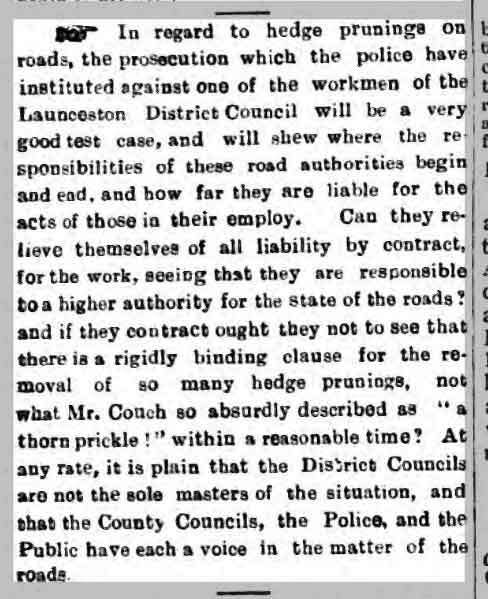 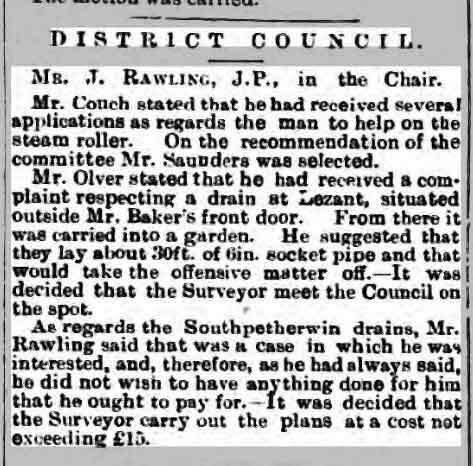 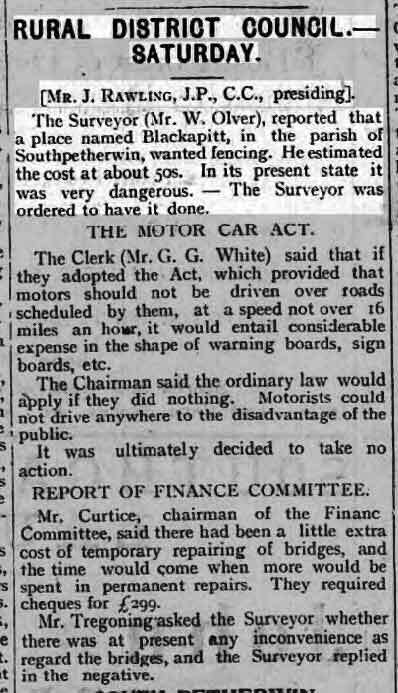 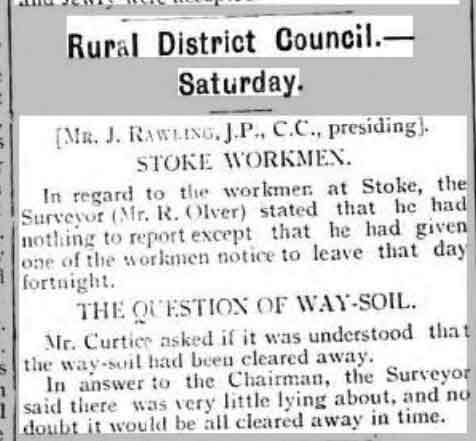 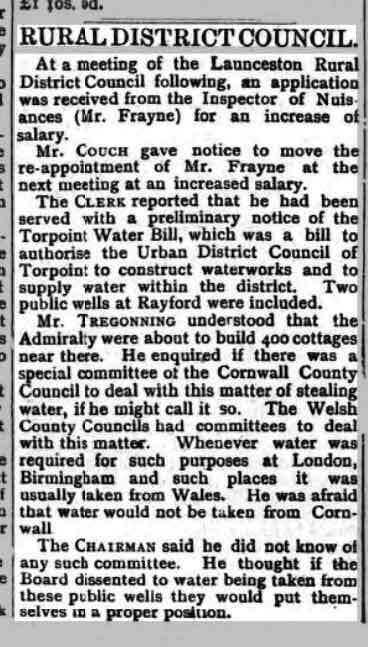 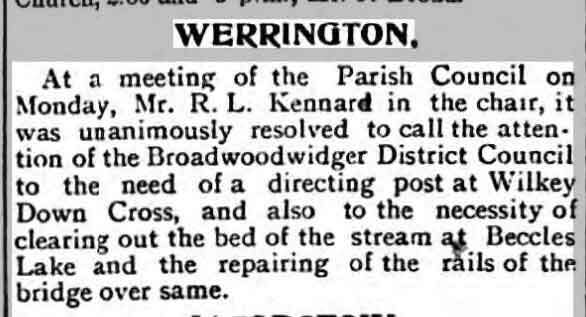 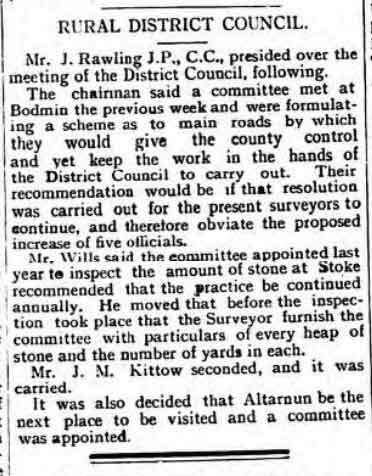 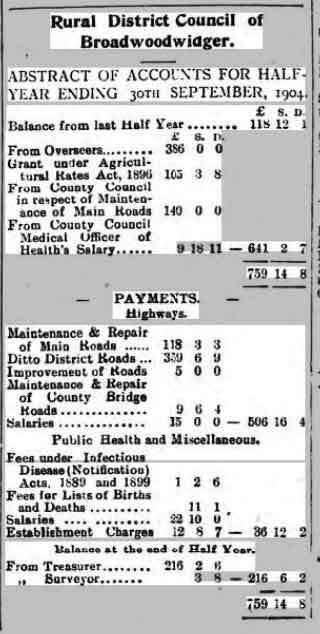 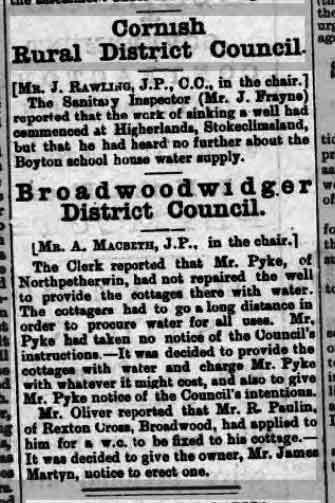 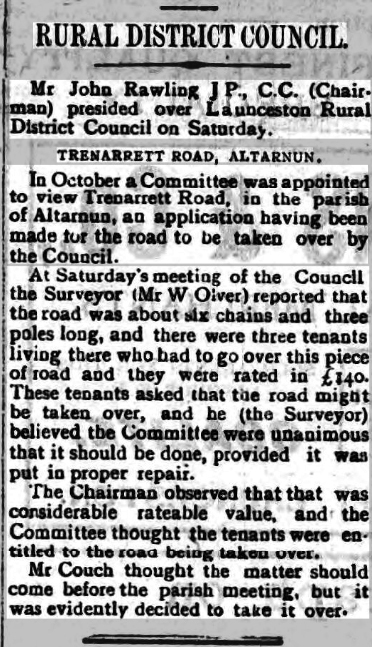 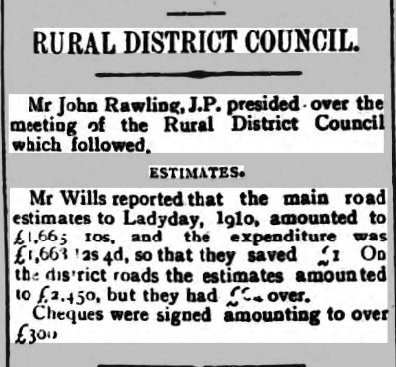 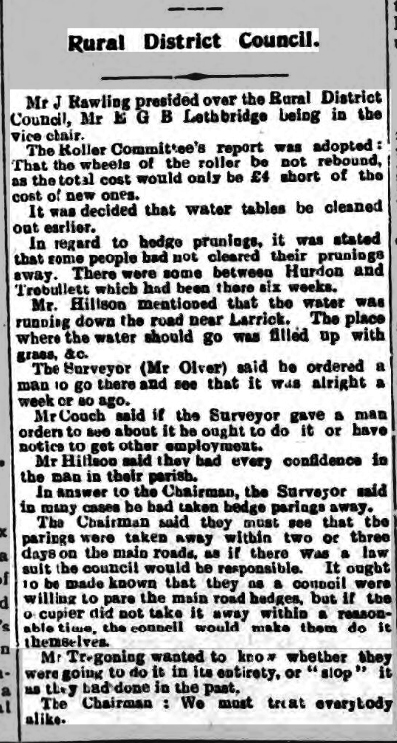 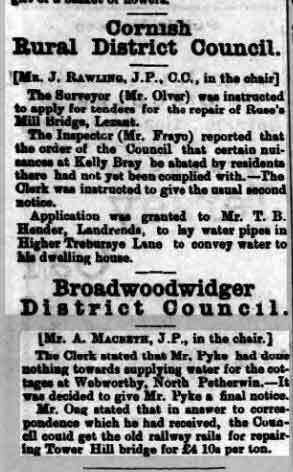 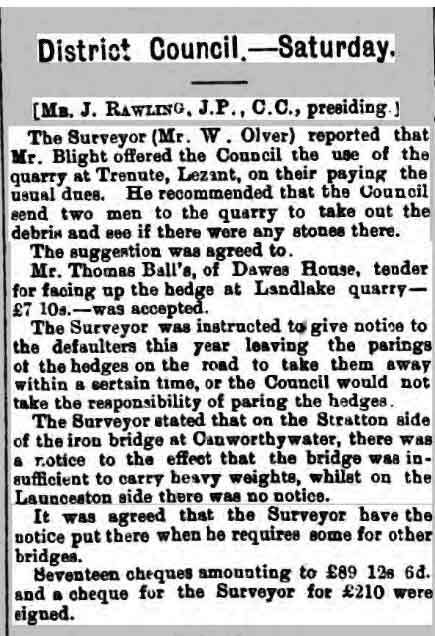 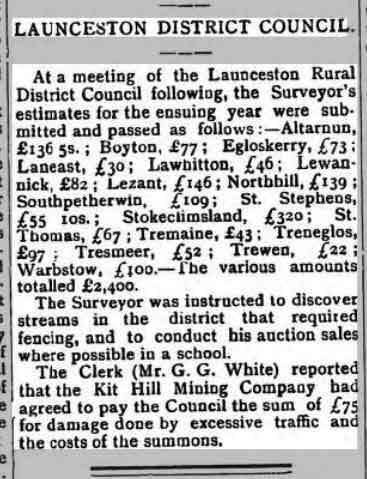 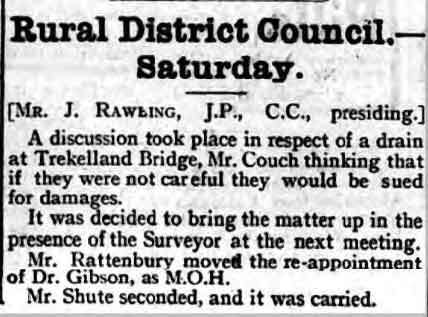 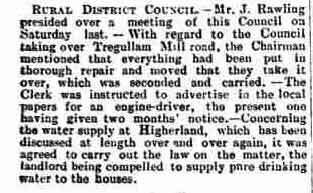 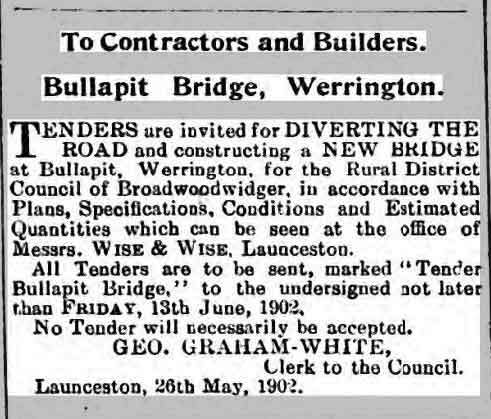 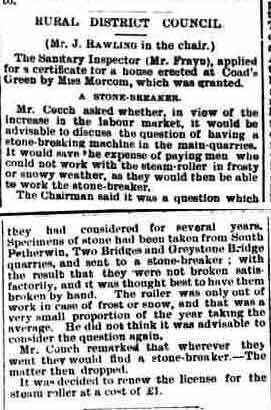 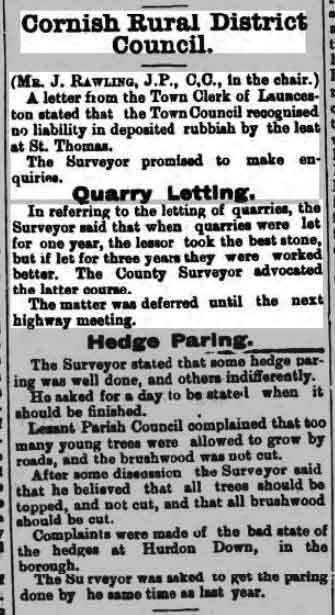 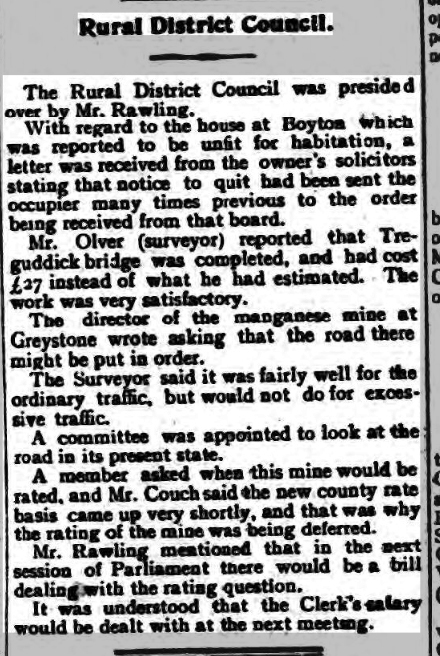 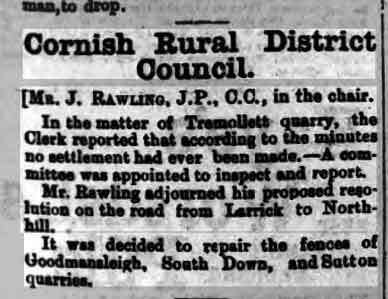 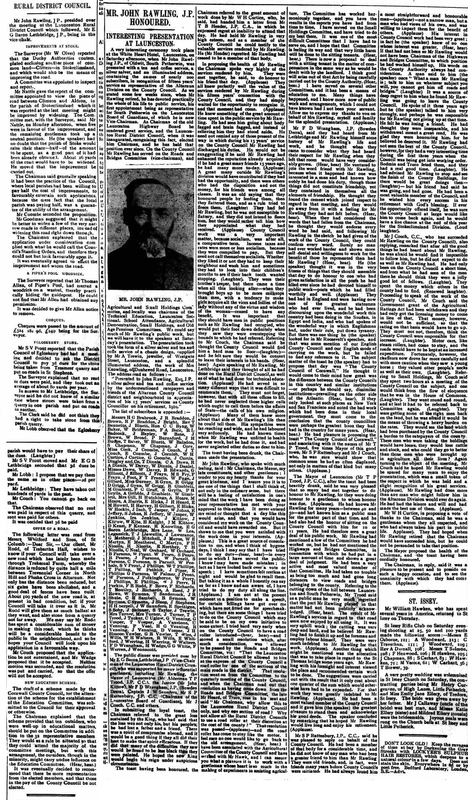 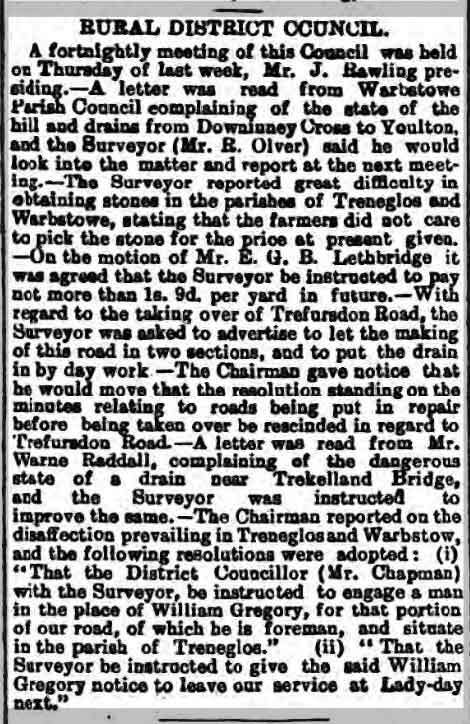 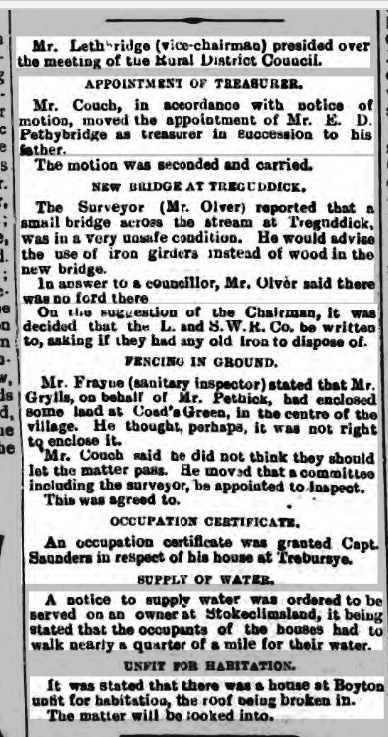 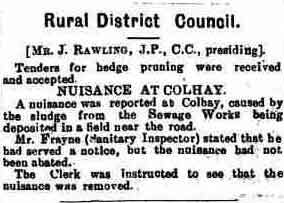 04 January 1908 in relation to the proposed extension of the railway from Kelly Bray to Coads Green.